On July 18, 1862, an Indiana town of nearly 1,300 citizens, including almost 100 convalescing Union soldiers, was captured by a bold Confederate icon commanding only twenty-seven Kentucky rebels. The Confederate commander's name was Adam Rankin Johnson and the event was the first Confederate raid north of the Mason-Dixon Line in the American Civil War. "[Adam] Johnson performed perhaps the most reckless, and yet most successful, military masterstroke achieve by any commander of high or low authority, in either army during the war." Thunder from a Clear Sky displays this little-known, but fascinating nugget of Civil War history - the first Confederate raid to cross the Mason-Dixon Line, the capture of the thriving riverport community of Newburgh, Indiana. With the politically divided landscape of Civil War Kentucky and the steamboat economy of the Ohio River as its backdrop, the surprising events of July 1862 build to an improbable climax. In this story of deception, betrayal, murder, and revenge, Adam Rankin Johnson - Kentucky legend, Texas hero, Confederate raider - conducts a traveling recruiting campaign through the hills of western Kentucky in the summer of 1862. Johnson's crowning effort, his foray onto Northern soil at Newburgh, has the unintended consequence of waking the sleeping giant. Indiana Governor Oliver Morton unleashes an overwhelming counter-offensive that seals the fate of western Kentucky for the remainder of the war. For the first time since Adam "Stovepipe" Johnson's 1904 autobiography, Partisan Rangers of the Confederate States Army, the fabled story of the 1862 Confederate raid on Newburgh, Indiana, is revisited in vivid, thorough detail. With the help of historians and archival materials from throughout the Midwest, author Ray Mulesky breathes new life into the dramatic Civil War events of the lower Ohio Valley in the high summer of 1862. Dozens of exciting, new revelations are presented in a story telling style that places the reader at the center of events as the story unfolds. 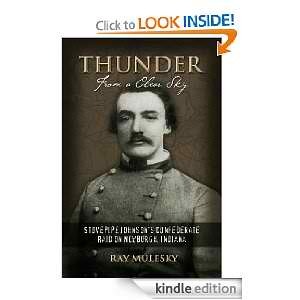 The new Star Book Edition of Thunder From a Clear Sky is 200 pages covering five critical weeks of 1862 Civil War history. Western Kentucky and Southern Indiana are in the spotlight as the unsuspecting towns of Henderson, Kentucky; Newburgh, Indiana; and Evansville, Indiana, serve as the stage for the story. The book includes period photos, maps, illustrations of prominent characters, and 212 endnotes revealing additional research details. Please check the "Star Edition" button on this site for more information on the re-release of Thunder from a Clear Sky. 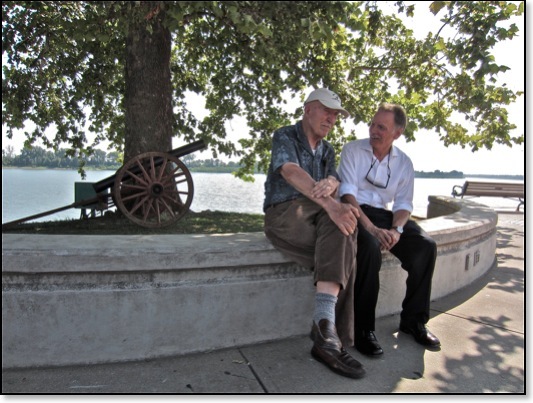 with noted Civil War historian Ed Bearss. "I hope to have God on my side, but I must have Kentucky"
Perhaps the most interesting thing about the oft-stated quote above is that no one is sure where, when, or even if, Abraham Lincoln ever said it. Although it sounds like Lincoln, it doesn't matter if he said it or not, we get the point. President Lincoln, believing that he had a special understanding of Kentucky's strategic importance, became justifiably obsessed with the fate of his home state for the first eighteen months of the war. Belying its Southern heritage today, Kentucky remained a part of the North during the Civil War, sending four out of every five Kentucky volunteers to fight for the Union Army. However, despite Kentucky's alignment with the Federal government, a surprising number of key Confederate Army officers hailed from the Bluegrass. 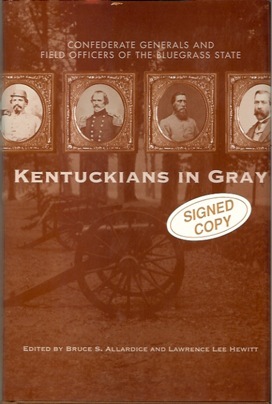 I am proud to announce that I am a co-author of Kentuckians in Gray: Confederate Generals and Field Officers of the Bluegrass State. 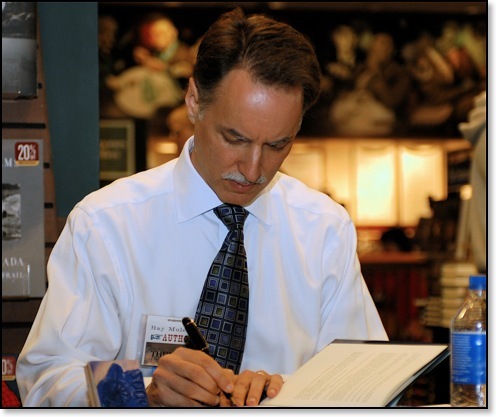 The book is published by University Press of Kentucky (2008) and is edited by Lawrence Lee Hewitt, author of Port Hudson: Confederate Bastion and Bruce Allardice, author of Confederate Colonels: A Biographical Register . Kentuckians in Gray profiles 39 Civil War generals and field officers who were born in the Bluegrass state. The authors contributing to this project are a virtual who's who of modern Civil War literature. The authors include William C. Davis , Brian McKnight , James Ramage and Lowell Harrison . Oh yes, and me too! !